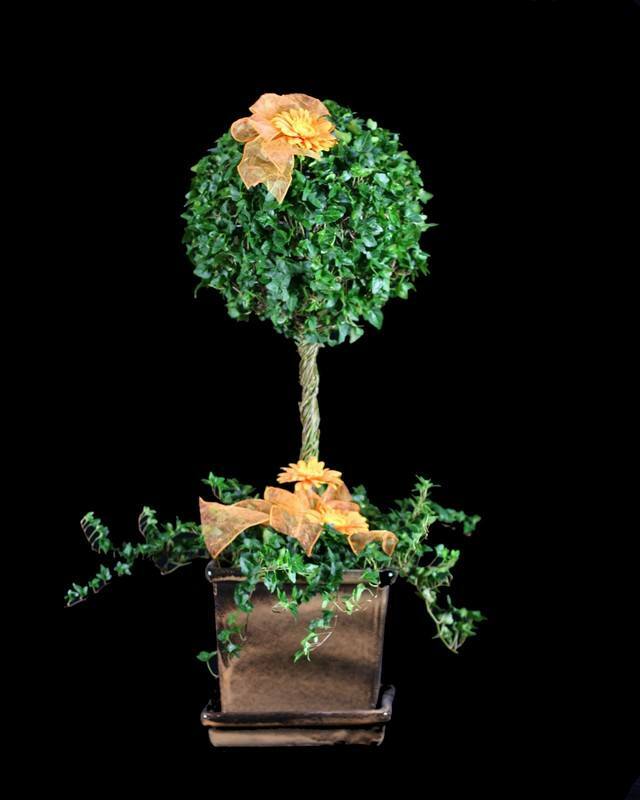 STEM Ivy Topiary. Let soil approach dryness between watering. Do not let roots sit in water.. Exposure: Bright, indirect light., Indoor Temp: 40 - 80 dgerees F, Weight: 10 lb, Pot Size: 10 inches, Height: 38.5 inches.